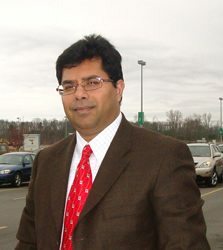 A. F. Salam is an Associate Professor of Information Systems in the Department of Information Systems and Supply Chain Management in the Bryan School of Business and Economics at UNCG. He earned both his PhD and MBA Degrees from SUNY at Buffalo. He has published research related to Information Systems, Strategy and Competition, ERP Implementation and Management, eService Convenience, Social Media and Business Strategy.